I just love this quote! So often we make things more complicated than they need to be, even our tea time. We buy the latest tea gadgets and expensive table service to make our cup of tea or even a small tea party perfect. All this when the most simple time-tested steeping methods and tea service will do so very nicely. A lovely setting can be created with our daily dishes, favorite tea cozy and a well-loved tea pot with a small mason jar centerpiece of flowers to greet a special friend for tea. Yet we still seek that perfection… especially around the December holidays! No matter the Holiday we celebrate.. We strive to create the ‘perfect’ holiday for ourselves, family and friends. We choose to stress out ourselves (and our loved ones) about finding ‘perfect’ in holiday… from gifts to presentations of all kinds! We seek perfect whether its our holiday cookies to how fancy the holly and ribbon is on our door. All in the goal of creating a lasting memory of this years holiday season. Let’s face it. For many of us… (ahem self included) the Holidays let us unleash our inner Clark Griswold…. You know it. I know it. No matter which Holiday…We chase the dream of creating Holiday Splendor. A perfect Holiday of Peace, Joy, and Fun. I also can’t tell you how many Gingerbread “Houses” I’ve ‘ruined’ over the years! I wonder can they truly be called ruined if they never stood up??? I’ll have to ask a contractor! I should have taken pictures. These ‘houses’ or piles were EPIC and could have easily won a Pinterest fail contest! Yes- I am ever an optimist and planning an new attempt to create yet another Gingerbread House as I write this post… It’s going to be FABULOUS! Or that little tea cup with the chip that you’ve had for years because just can’t bring yourself to part with it. A simple little tea cup or mug can bring even more joy to you if you just add a bit of floral foam and fresh greens or flowers! And if you must purchase something let it be a truly special and handmade item created by you, your child, or a local artisan. Is there a figurine in this vignette rushing about stressed over the table setting or whether or not the stockings hung on the mantle match the rooms decor? NO! They are enjoying a simple tea and a good book! And so should WE! 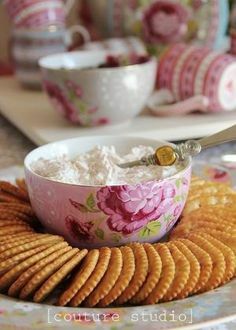 So when you burn the cookies… I hope you laugh and shout HURRAY as you call a best pal to drop by for tea and dessert. Then smile as you crumble them up, roll them around a scoop of ice cream and drizzle with honey and a dash of cinnamon! Now that’s how a cookie crumbles my friends! Pinterest Fail Lavender Shortbread Cookies Rescued for Decadent Dessert. Who wants a cookie when you can have THIS! As for me.. I’m blending up lots of holiday teas with a lot of perfection but chasing the Gingerbread House with a free spirit. Released from the pursuit of a perfect holiday I’m filled with cheer for the imperfect and downright quirky holidays. Plus I’m making another Gingerbread House that should REALLY BE INTERESTING! Now where did I put those graham crackers and jelly beans…..